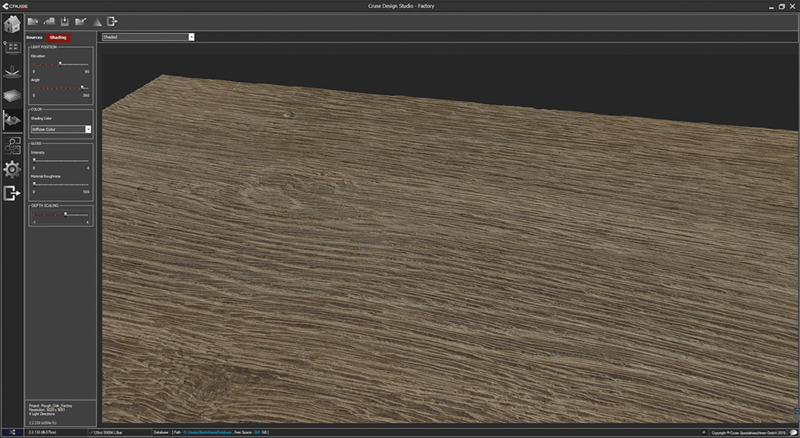 The decor industry is increasingly in need of high-quality 3D elevation information from wood, stone, textiles and wallpaper surfaces. With Factory you can cope with these growing demands and supply your customers with accurate height information and color data. 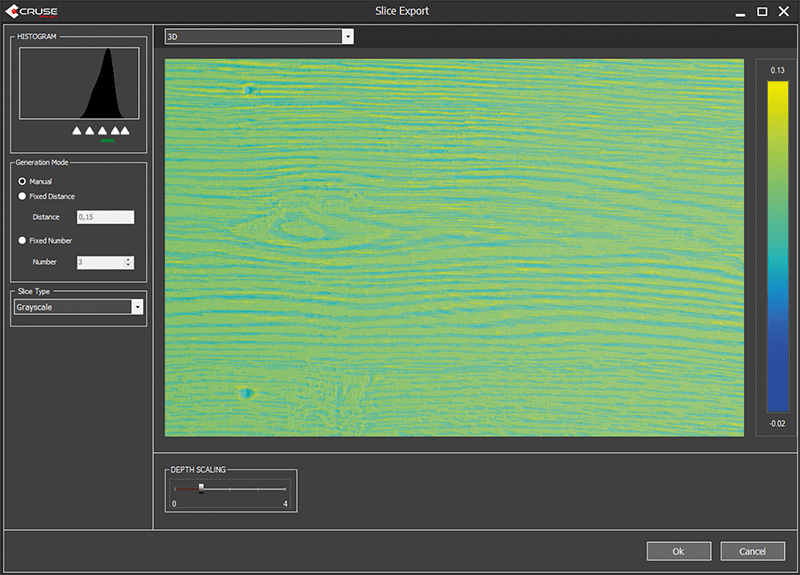 Factory is a program for 3D calculation that is seamlessly integrated into the CRUSE Design Studio. 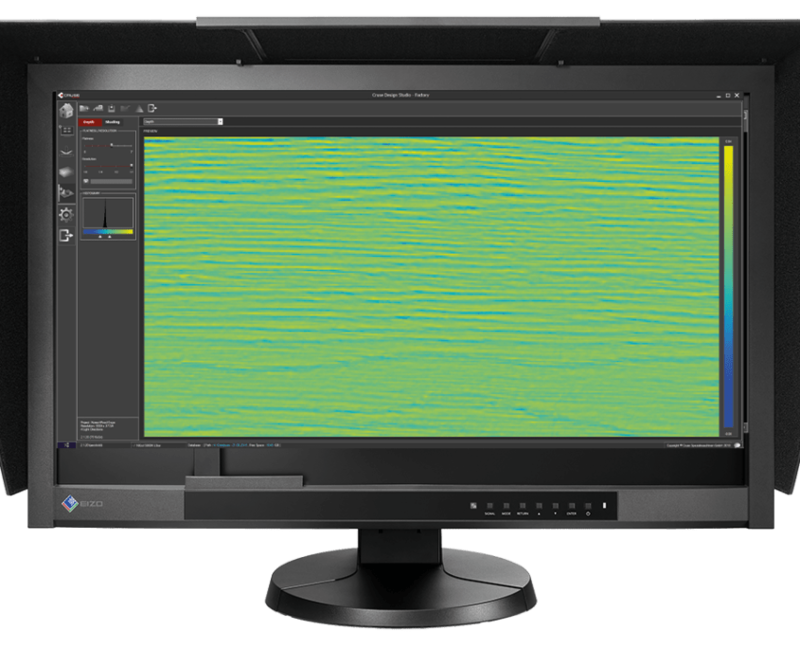 For the calculation of 3D information and the editing of lighting and color effects, you have access to intuitive and user-friendly tools via a user interface. 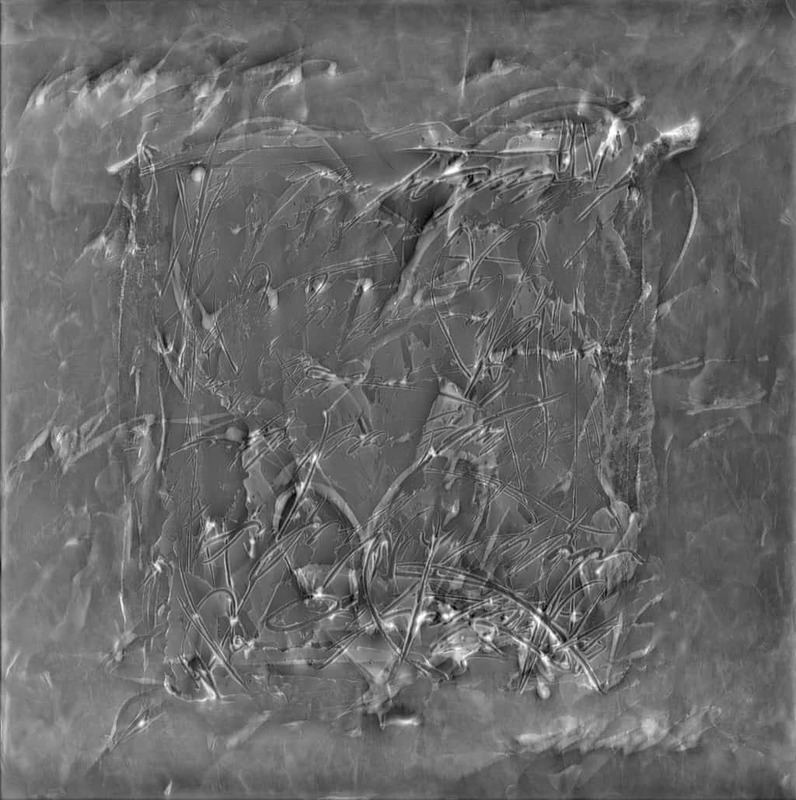 CRUSE Factory works on the basis of Photometric Stereo and has been programmed by our in-house software developers to provide you with an easy-to-use, fast tool for acquiring accurate height information from the surfaces of a variety of templates. 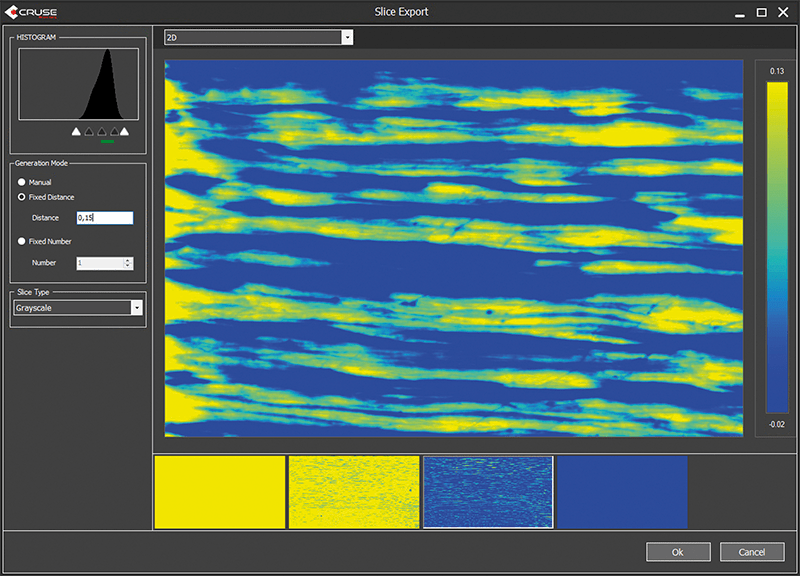 The clear user interface of Factory, in combination with the innovative design and workflow management of the design studio not only enables them to output accurate height information of their originals in grayscale (also as layers) with the corresponding custom-fit color data, but also the output of data with sheen, shadows and diffuse colors. 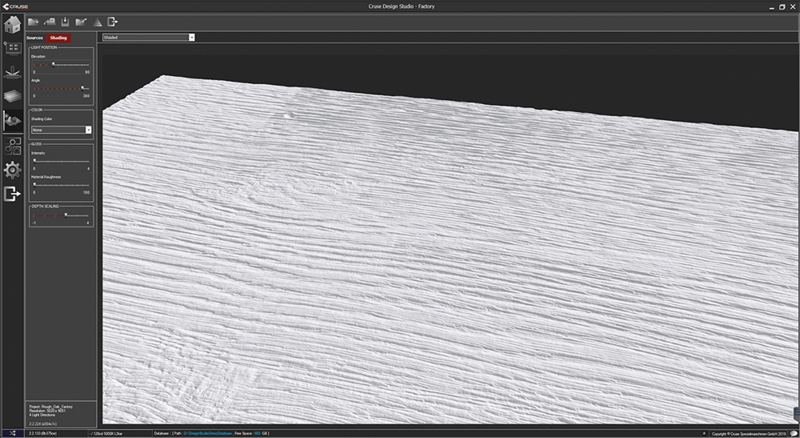 Use the Workflow Manager and Scan Software to create the scans you need using the two light deflectors [needed]. When scanning is completed, the scans are automatically aligned and loaded into Factory for calculation. 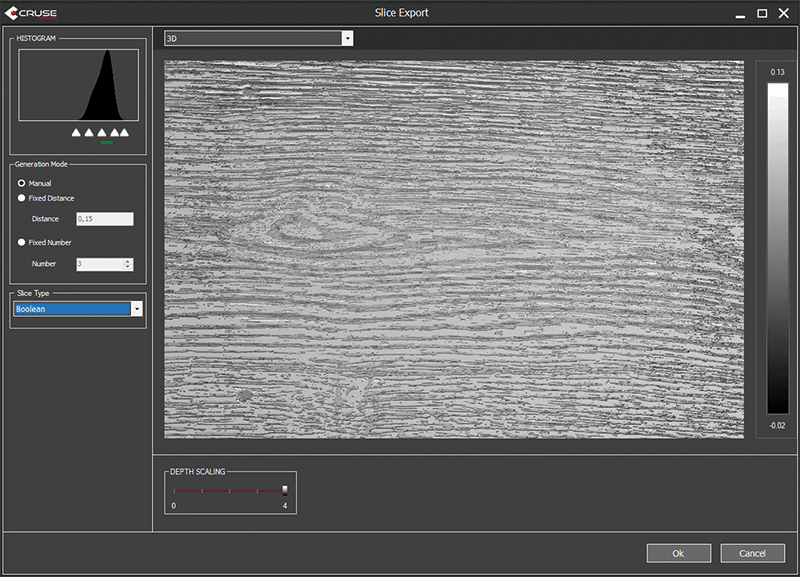 Under the tab Sources you can adjust the settings for the Flatness, the Resulution and the Depth Histogram to your requirements before starting the calculation. 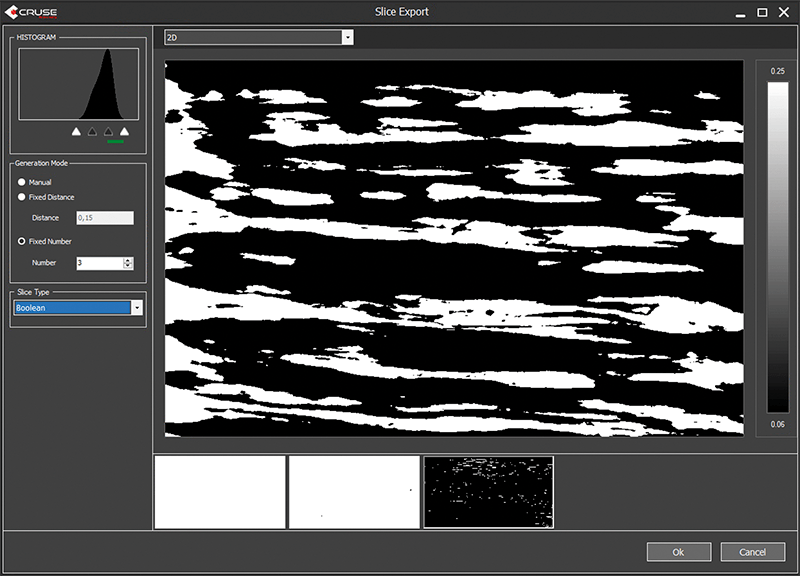 It is also possible to exchange the depth source, color source or the gloss source or to re-import it after processing. By double-clicking on the sidebar you can quickly change the layer from color mode to grayscale mode to be able to judge the distribution of grayscale values. In addition, they can use Depth Scaling to change the depth effect of their template. All the settings you make in your calculations will be displayed in real time. In Factory we offer height calculations not only as a greyscale image output, but also as slices for output via 3D printers, engraving machines prepare. There are various possibilities to divide up the height information and to output each slice as a single file. All the settings you make in your calculations will be displayed in real time. Thanks to the intelligent workflow and project management, the results are stored centrally in the project folder “Results”. Using the Project Manager, you can call up your calculations and results at any time and, if necessary, start a new calculation in Factory. Manually insert individual cutting planes. Move the markers to make adjustments. 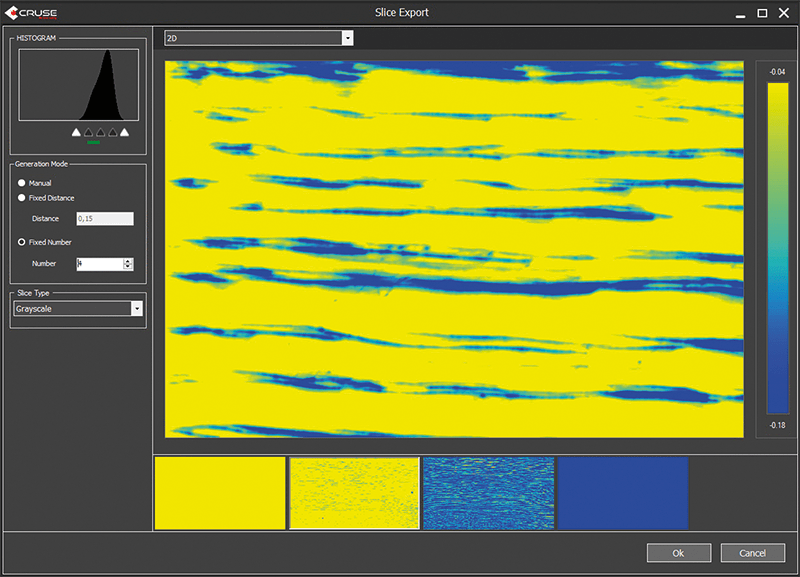 Enter a fixed value to divide the height information into slices. Enter a fixed number of slices into which the height information is to be divided. 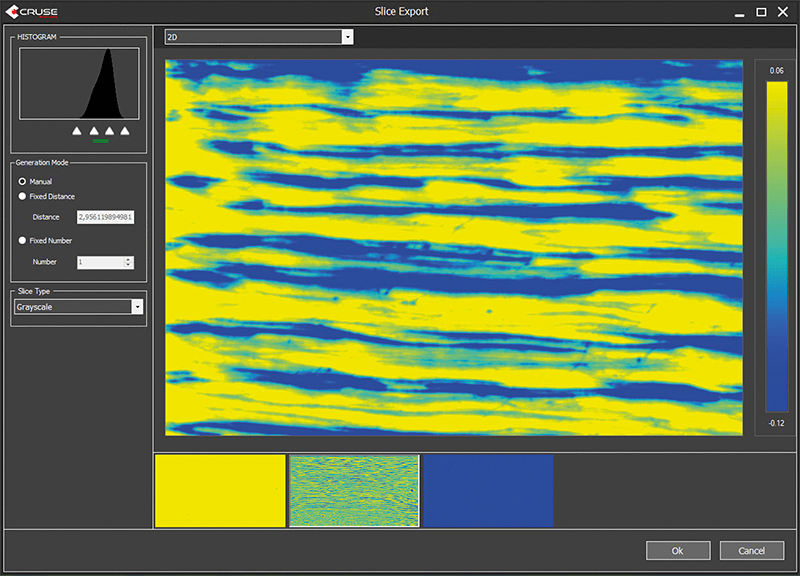 In slice export you can choose between 2D or 3D mode. In 3D mode, you can also change the depth scale in your calculations. Switch also in the 3D mode between the individual possibilities to obtain the best possible result of their calculations. After the calculation, export your results to the desired output format.